"Harnessing the power of hyperconverged infrastructure"
Hyperconverged Infrastructure (HCI) has been taking the enterprise world by storm, as they are harnessing the power of HCI, to better manage, provide access to, and protect all this valuable data. To deliver a compact, deployable data center, ruggedized Hyperconverged Infrastructure systems tightly integrate enterprise cloud capabilities with high performance networking, computing, and storage hardware. 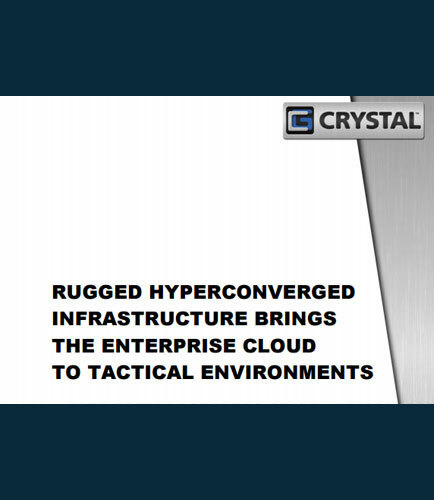 This whitepaper provides insights on how HCI systems are designed to be deployed in tactical environments combining rugged hardware and robust software to deliver a wealth of enterprise-level benefits in the field.